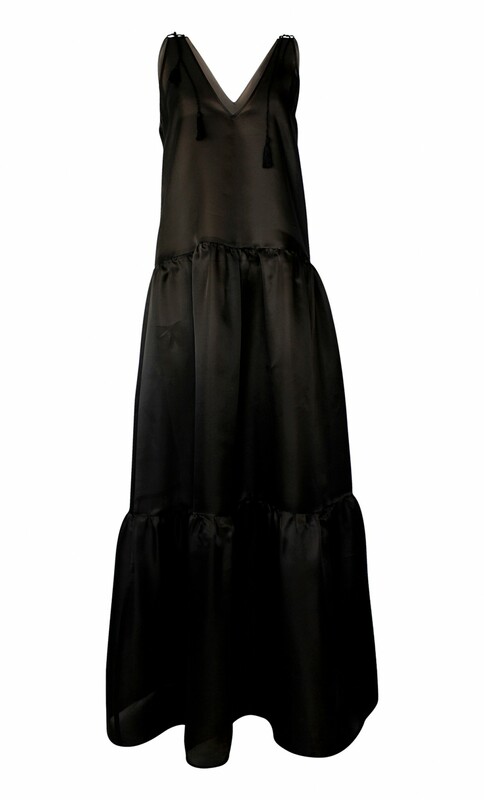 The bohemian maxi dress is tailored from tiers of silk organza in a dramatic black and finished with tassels at shoulders. A-line silhouette, the dress is slightly sheer and may be styled with the matching "viscose maxi dress" to avoid any transparency. The slightly transparent black top is handmade from a luxurious silk organza and features detachable white silk organza ties.